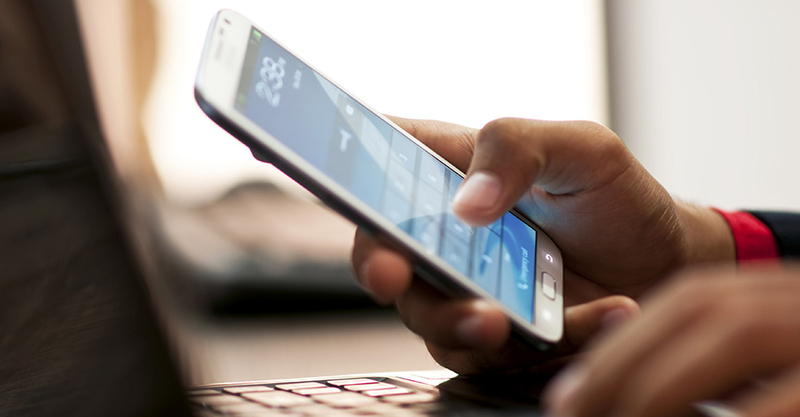 Are You Keeping Up with Mobile Marketing? Chances are high that you’re reading this post on a mobile phone. That assumption is based on data from GSMA Intelligence showing that there are more than 3.6 billion unique mobile subscribers. That’s half of the world’s population! In the next twelve months, it is predicted that there will be roughly two hundred million new mobile users globally, and one billion more by 2020. In developed markets, smartphone adoption already accounts for 60 percent of mobile connections. People aren’t just talking and texting on their phones. They are searching, playing, browsing, communicating, checking their social networks, shopping, and clicking on ads. According to venture capital firm Kleiner Perkins Caufield & Byers, consumers check their mobile devices 150 times a day on average. Consumers spent $182 billion on mobile commerce last year alone (Juniper Research). More than 20 percent of all current mobile traffic goes to e-commerce sites (Monetate). Seventy-nine percent of smartphone owners use their devices to buy products or services (Oracle Marketing Cloud). In 2014, mobile accounted for 57.1 percent of all online Christmas shopping traffic, up 18.6 percent from 2013, and made up 34.8 percent of total Christmas Day online sales, an increase of 20.4 percent from 2013 (SmartFocus). Overall, customers spent $182 billion on mobile commerce last year alone. By 2018, that number is estimated to grow to $707 billion (Juniper Research). By late 2016, it is expected that mobile devices will outpace desktops for consumer ad clicks in the United States (eMarketer). Globally, mobile ad spend has grown at a striking pace with $31 billion spent in 2014 and $46 billion predicted for 2015, according to Marin Software. By 2019, eMarketer estimates that mobile ad spending will rise to $65.87 billion, or 72.2 percent of total digital ad spend. Websites that are actually designed for mobile viewing. This includes either a website designed specifically for mobile or a responsive website whose pages automatically respond to the device people are using (e.g. smartphone, tablet, etc.). Mobile apps to make a shopper’s journey more relevant and helpful, as well as provide an opportunity to reach loyal customers. By offering discounts, coupons, and deals of the day, retailers can give a reason for people to come back to the app. Mobile-friendly ad creative. Research shows that different ad formats vary in effectiveness between channels. For example, 970×250 display ads work best for desktop, while 320×50 display ads work best on smartphones (eMarketer), so it’s important to create ads that can accommodate different screen sizes and devices. Location-based marketing to provide customers with personalized, highly relevant content based on their real-time location. Ads that include click-to-call and store-locater features help to ensure effective consumer reach and click-through. Reviews of the website’s mobile performance (through analytics, reporting, etc.) to ensure that it meets new mobile standards and won’t be negatively impacted by Mobilegeddon. Optimized page loading speed so pages load quickly and landing page forms designed so they are short and to the point. Once a company’s website and emails are optimized for mobile, SmartFocus has some useful tips for how to maximize a mobile campaigns going forward. Review your mobile statistics often. What percentage of your website traffic and search inquiries are coming from mobile devices? Look at your mobile data in a timely manner and respond accordingly. Regularly evaluate your mobile website and app performance and optimize based on what you learn. Make frequent updates, for example allowing users to access store-specific, real-time inventory and pricing as well as product location information in-store. Include a ‘current location’ search, enable a faster checkout process and offer simplified website content. Review your mobile ad performance. Identify the creative, targeting and placements that are driving traffic, clicks and conversions. Implement virtual or physical beacons – Beacons, or iBeacons, enable location-based targeted mobile marketing solutions and allow marketers to send real-time messages to customers’ smartphones when they are in a physical environment. Beacons tell a marketer when their customer visits a store; they allow predictive recommendation technology that delivers up-to-the-second content at the precise moment the customer opens their e-mail or visits their site. They also provide insights that effortlessly generate a truly personalized experience. Mobile offers enormous potential for reaching consumers. Given the speed at which this e-commerce marketing platform is progressing, it’s important to institute mobile marketing strategies as proactively and promptly as possible, otherwise your company may find itself at a disadvantage. It’s also important to test new ideas and processes so that there’s clarity on when and why consumers complete a mobile transaction.